Now that I have lost a little over 30 pounds, I have been snacking smarter and making better eating choices. But, sometimes that can be a little hard because I am a salty and savory snacker. I would choose chips and dip any day over chocolate cake or a sugary cookie. Sadly chips and cream-based dips can really pack on the calories and weight! So, I have been snacking smarter with salsas and hummus and nixing the creamy, calorie-laden dips. 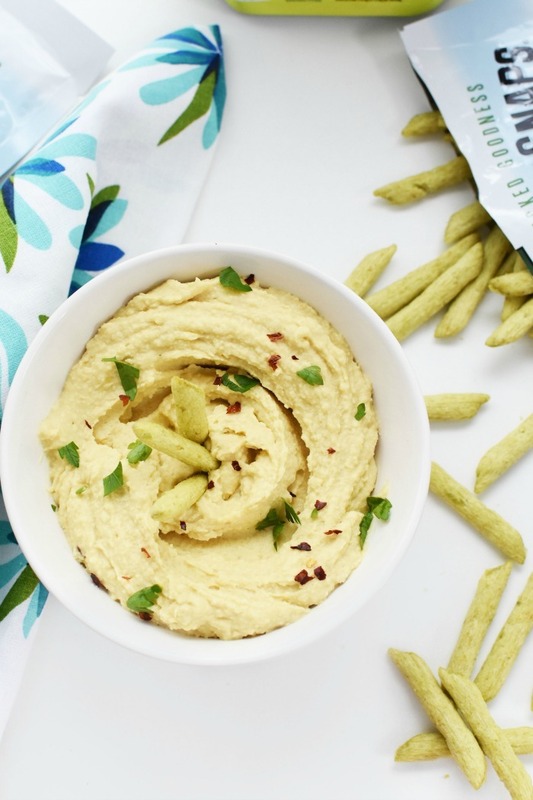 Today, I wanted to share one my favorite Roasted Garlic Hummus (without Tahini) recipe that pairs so well with a healthier snack like Harvest Snaps. 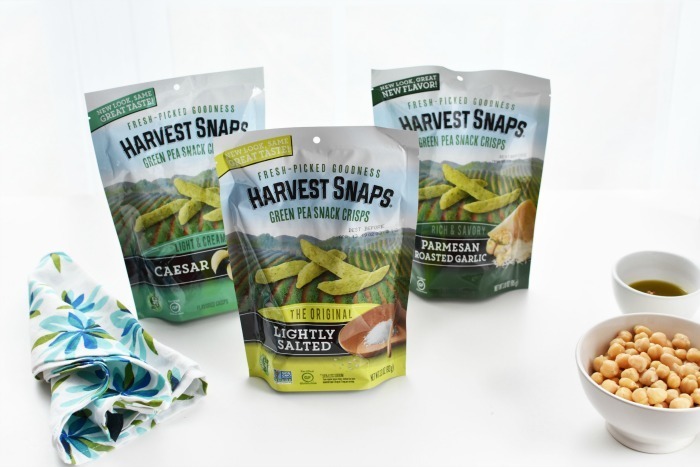 Have you ever tried Harvest Snaps? You can find these products in the produce aisle at your local Stop & Shop retailer. 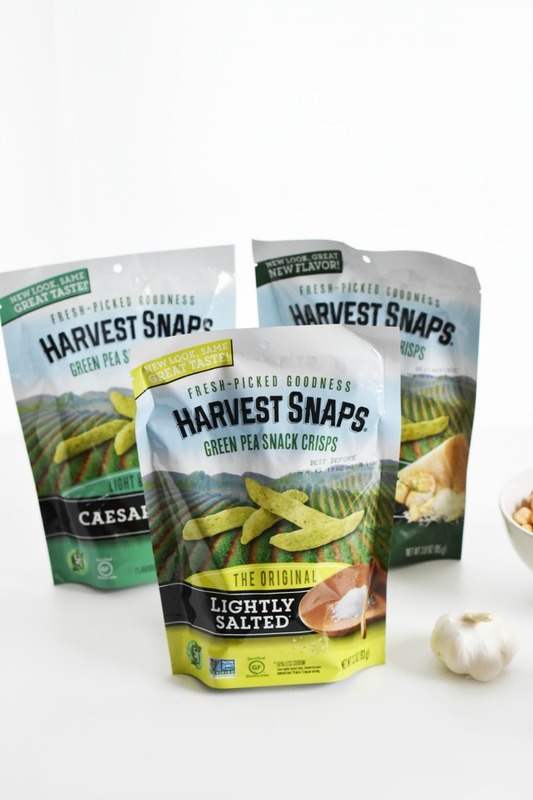 Harvest Snaps are baked, crunchy veggie crisps made from high quality ingredients. Veggies are the first ingredient (green peas, black beans, or red lentil), and there is 4-5 grams of plant-based protein and 4-5 grams of fiber in each serving! 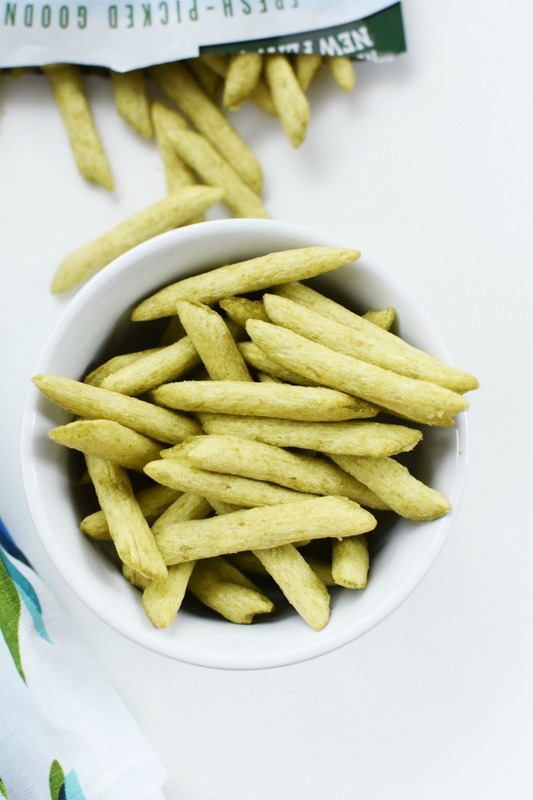 You can find these crunchy snacks in 9 flavors! My favorites include: Lightly Salted, Caesar, and NEW Parmesan Roasted Garlic. I am really excited to also try the White Cheddar flavor which is also new to the line! 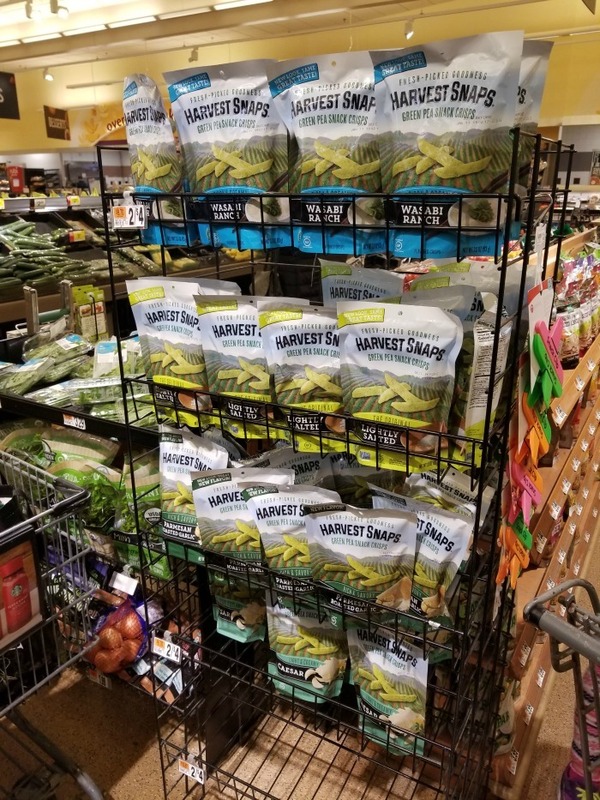 Besides their tasty flavors, and perfect price point each purchase of Harvest Snaps helps to support the Kids 360 non-profit which is on a mission to make a difference in the lives of children in need. Harvest Snaps not only does great things for our bodies, but also local communities by participating in the Kids360 program. To learn more about Kids 360, visit www.kids360charity.com. I love the crunch Harvest Snaps have! 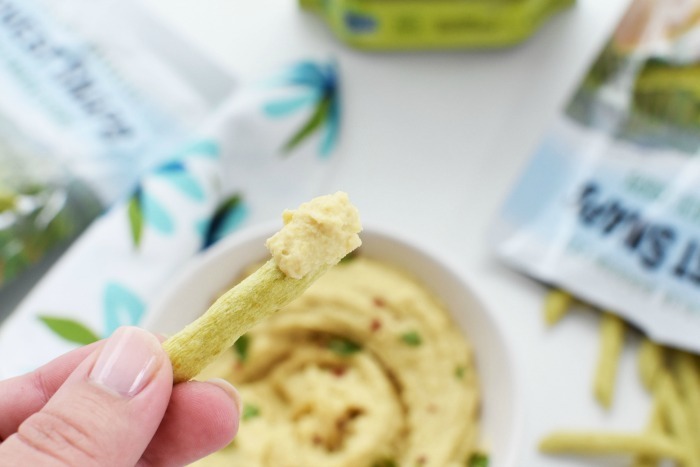 The Lightly Salted goes so well with this Roasted Garlic Hummus– but actually–any flavor does since this hummus is mild. 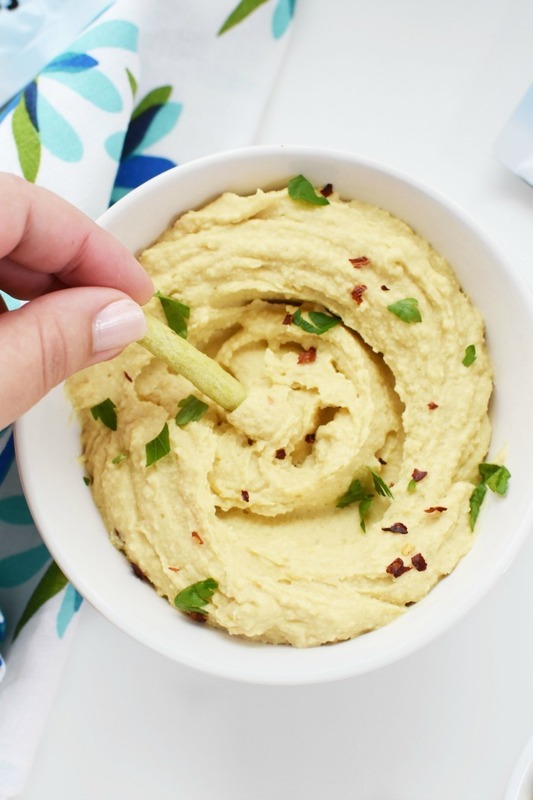 Want to make this creamy hummus? Get the printable recipe below! 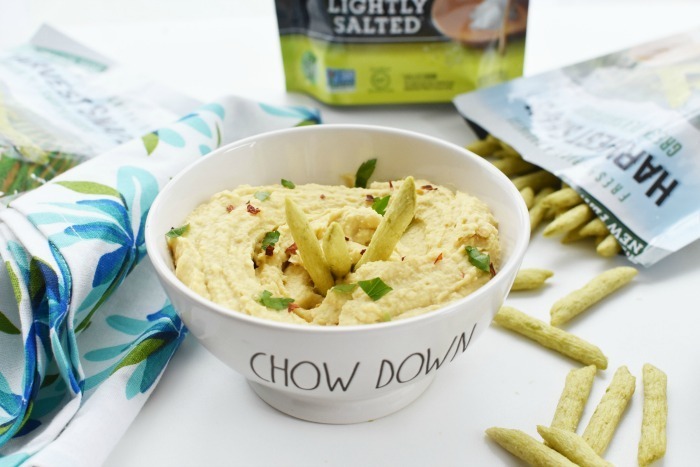 Since this hummus does not use tahini, chances are you might have all the ingredients needed right at home! 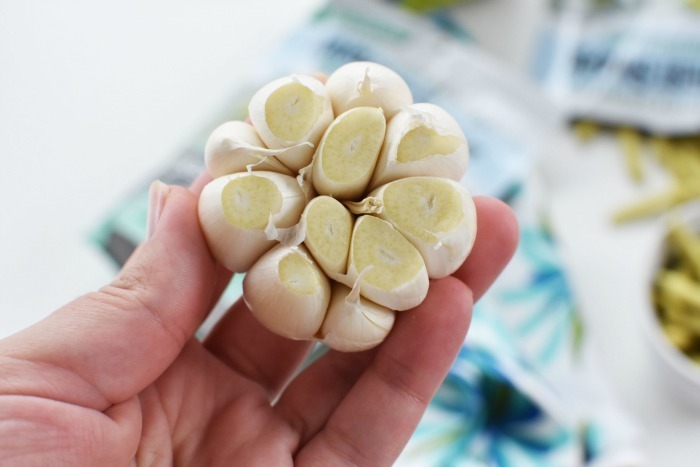 Heat oven to 350 degree f.
Remove the extra papery skin from your entire garlic bulb and discard. 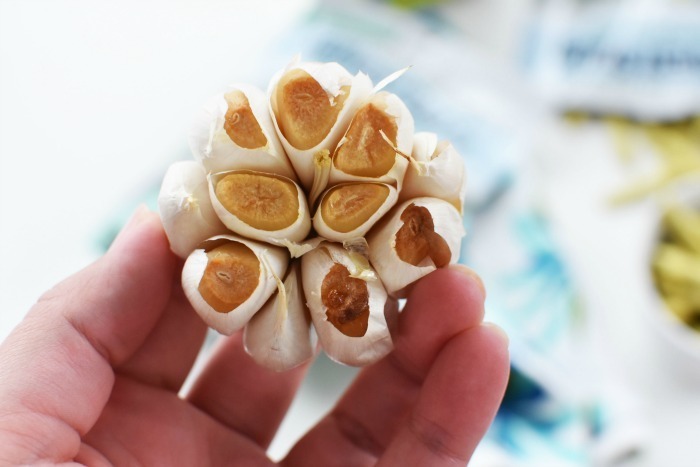 Cut a little over 1/4″ carefully off the full top surface of the bulb to reveal the cloves. Place bulb(s) in muffin tin to allow them to bake nicely without falling over. Bake for 3-45 minutes or until tops are deep golden brown and jelly-like. With a small fork, remove the caramelized, jellied bulbs. 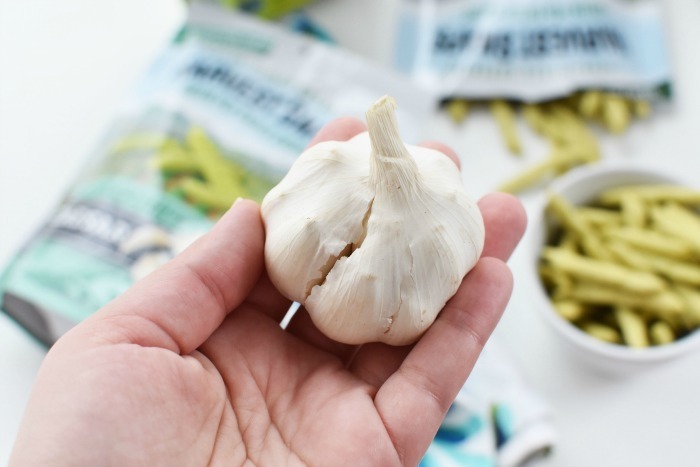 These are delicious not only in this roasted garlic hummus, but also on fresh crusty bread & more! 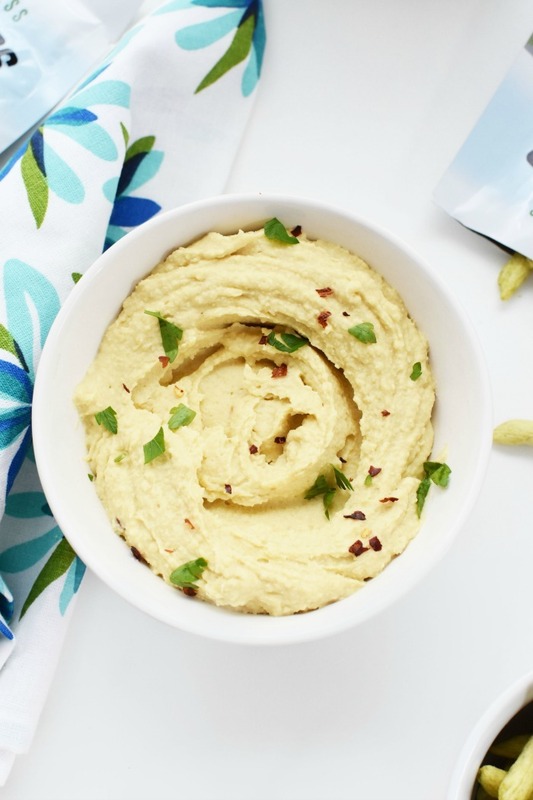 I love how the roasted garlic gave this hummus a delicious flavor without being too bold. I didn’t want it to be too strong and think the acid from the lemon juice, salt, and pepper helped to balance it out! 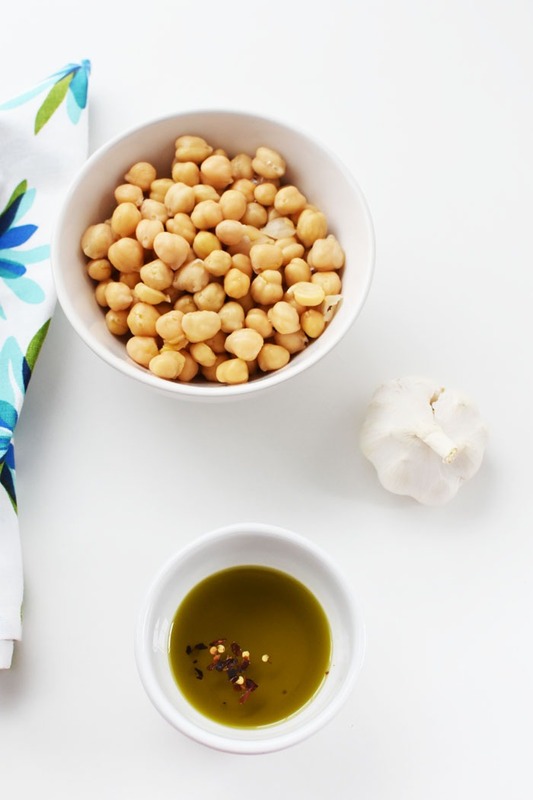 Pin this Roasted Garlic Chickpea Hummus without Tahini today! 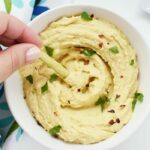 Roasted Garlic Hummus without Tahini is a delicious hummus recipe that is easy to make and serves and a healthy and delicious dip. Once caramelized, remove bulbs from clove. In a food processor, add chickpeas, garlic, spice, oil and lemon juice. Serve with dippers or store in fridge for up to 3 days.